I have been quiet for quite some time – this summer has been crazy at work, and I have no time whatsoever. But I still plan to continue taking part in YoP challenge. And in this post I hope to lay the foundation for next year’s plan. I am sure the list will grow as the year goes by. 8. 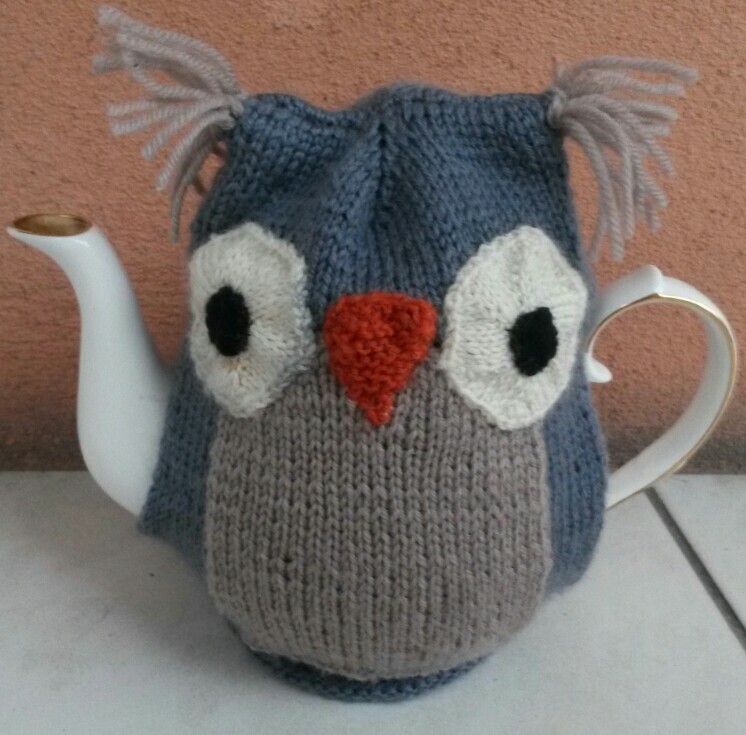 My daughter has asked me to make an owl plushie that would look like my teapot cozy – I think I like this project a lot and will start on it soon. Update 16/05 everyone seems to have forgotten about it. Still on the back of my mind, but not a priority. 10. More table mats. I have now 4 in same yarn and different patterns. Can i take these up to 12? UPD 16/05 – I’ve done two more, but haven’t taken any decent pictures yet. 11. In the new appartment, we need curtains. While for most rooms I will go for the usual fabric ones, for kitchet and hallway windows, I would like something along these lines. May be use fun shapes (owls, other animals etc??? ): UPD 16/05 Still in the pipeline. Need to buy suitable yarn, but don’t the money right now. 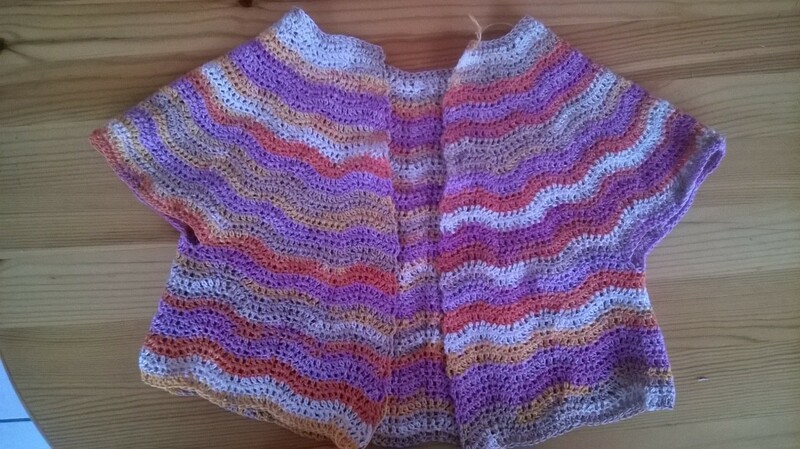 A bright shawl to go with quite a boring dress in pastel colours…. Separator image Posted in General news, My kniting & crochet and tagged with YOP. Ooh the yarn is gorgeous and will make a gorgeous pair of mitts. Looking forward to seeing your projects. I love your Socks that Rock yarn and agree it will make a gorgeous pair of mitts. I hope you find more time for your projects! Thank you! I’ve already made one laid back kitty as a present for my daughter’s teacher, and my kids loved it, so will have to make them one, too, I suppose.